So I hope you had a good week. It is time to sit back and relax and have a read of the latest blog posts and watch some of the latest videos. Allons-y, Alonso! 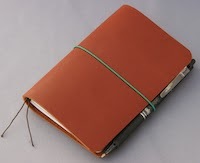 My New Storyteller Traveler’s Notebook by Chic Sparrow – Yay, for Fridays!